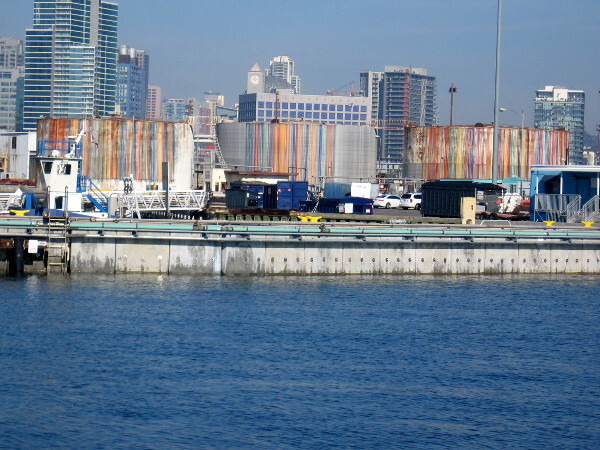 port of san diego – Cool San Diego Sights! 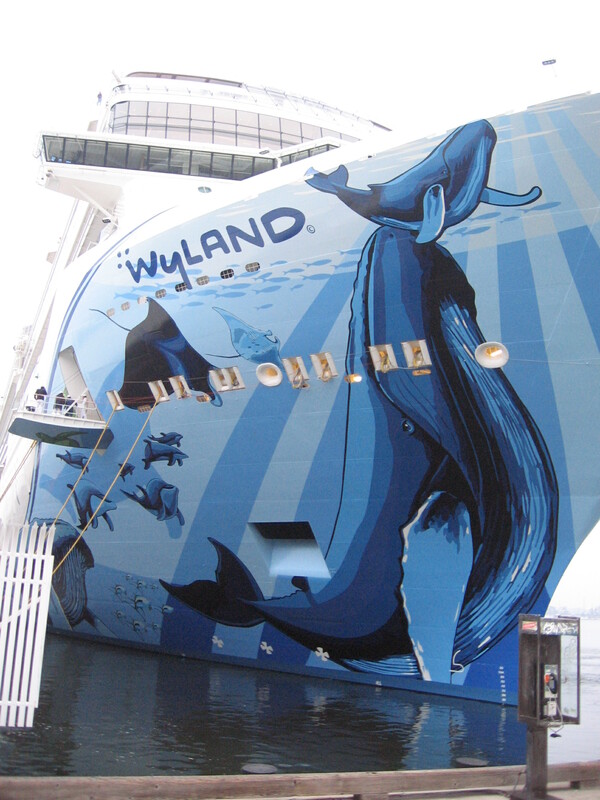 An amazing Wyland mural cruises into San Diego! 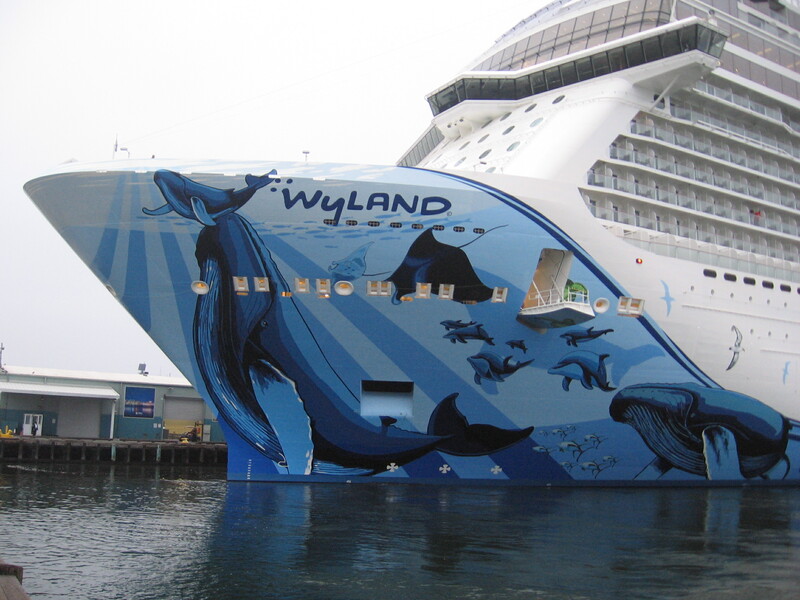 An amazing, gigantic mural by the renowned artist Wyland cruised into San Diego this morning! 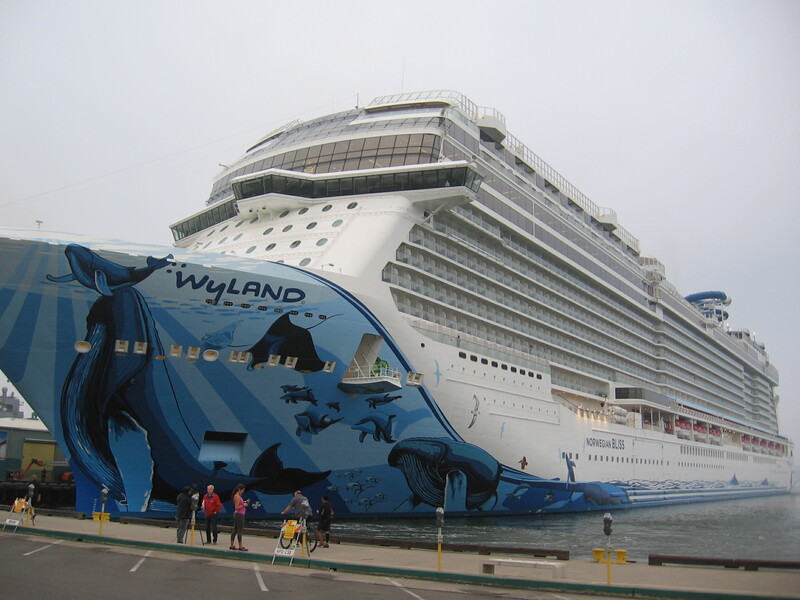 The mural, titled Cruising with the Whales, is painted on the bow of the positively enormous cruise ship Norwegian Bliss, which was diverted into San Diego due to Hurricane Willa off Mexico. 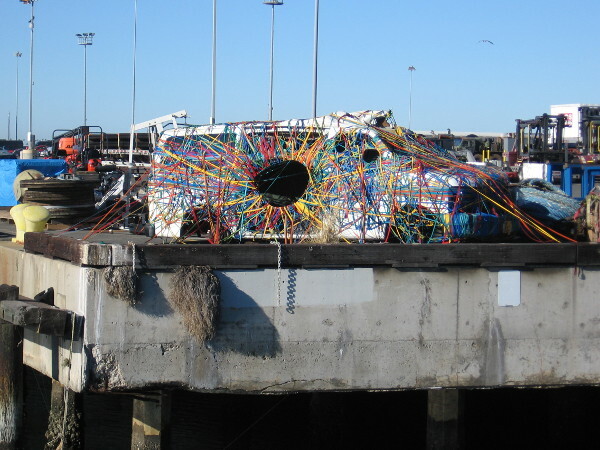 Robert Wyland, who is based in Laguna Beach and Hawaii, has several works of marine art on display around San Diego. 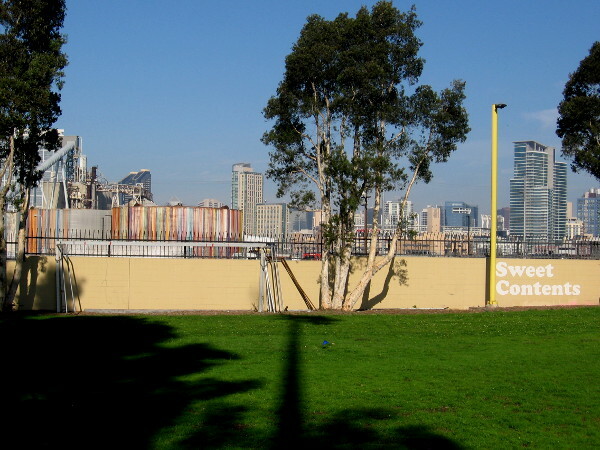 I’ve photographed a few of them, which can be spotted here, here and here. 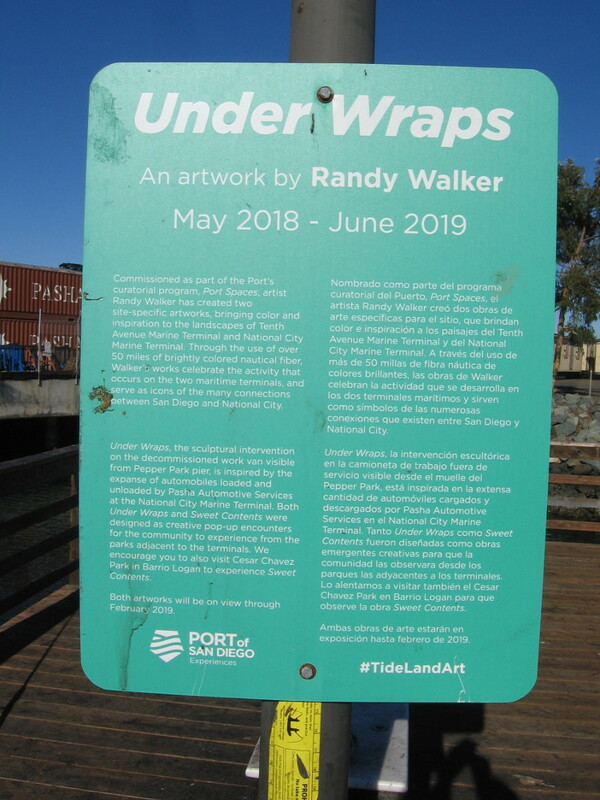 Posted on October 24, 2018 November 26, 2018 Tags amazing, art, artists, cruise ships, embarcadero, marine biology, murals, photography, port of san diego, public art, san diego, tourism, travel, whales4 Comments on An amazing Wyland mural cruises into San Diego! 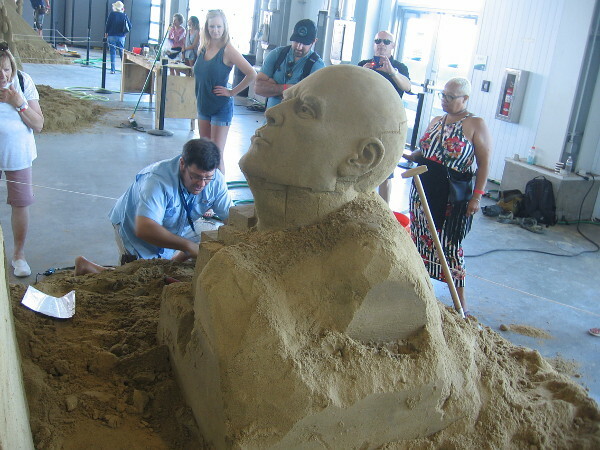 Masterpieces by World Master sand sculptors! 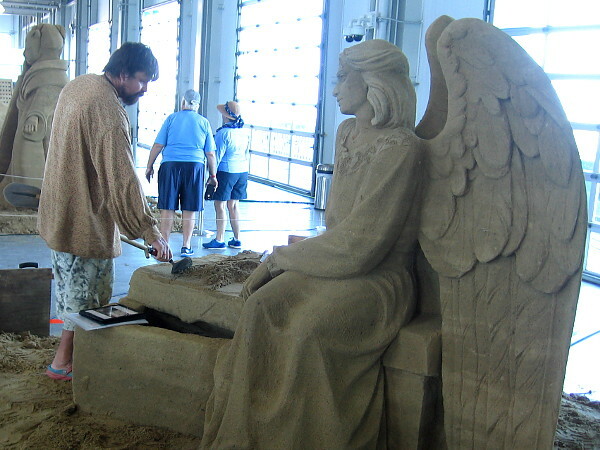 He Left From Here, an angelic sand sculpture by World Master Dmitry Klimenko from St. Petersburg, Russia. 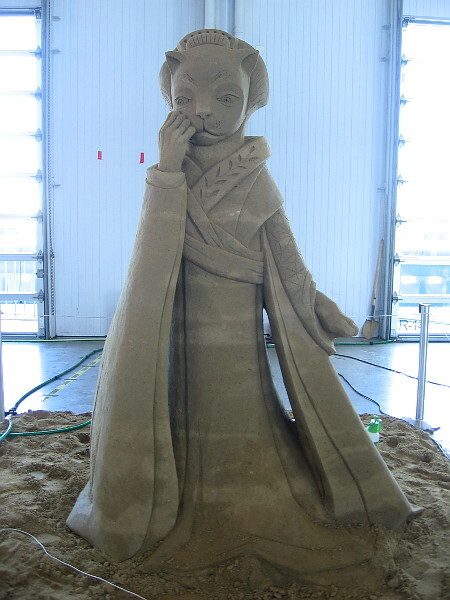 The following photos feature twelve of the most amazing sand sculptures you’re likely to ever see. 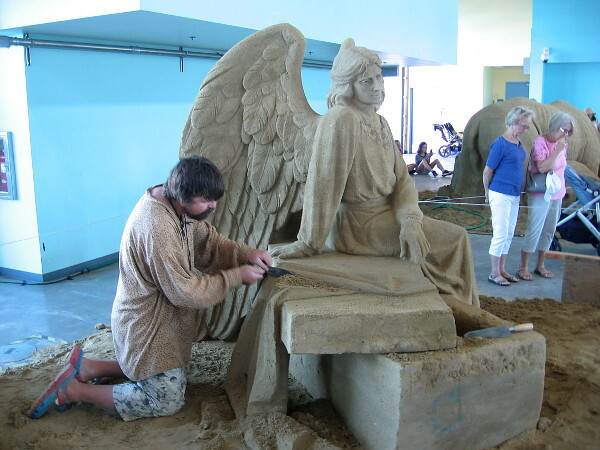 Each work of art was created by an internationally famous World Master sand sculptor. And right now, throughout this Labor Day weekend, the public can experience these fantastic works of sand art up close and in person at the 2018 U.S. 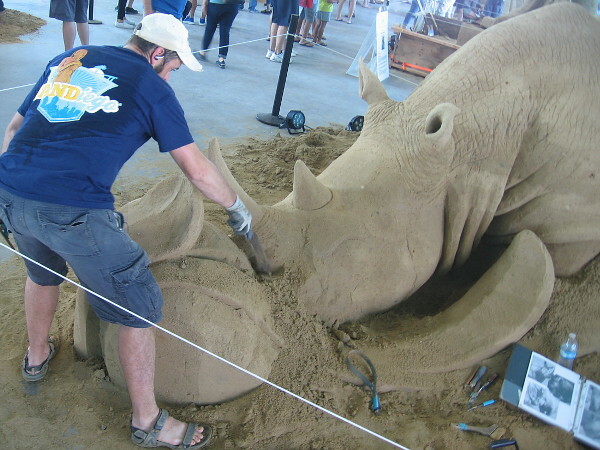 Sand Sculpting Challenge! The U.S. 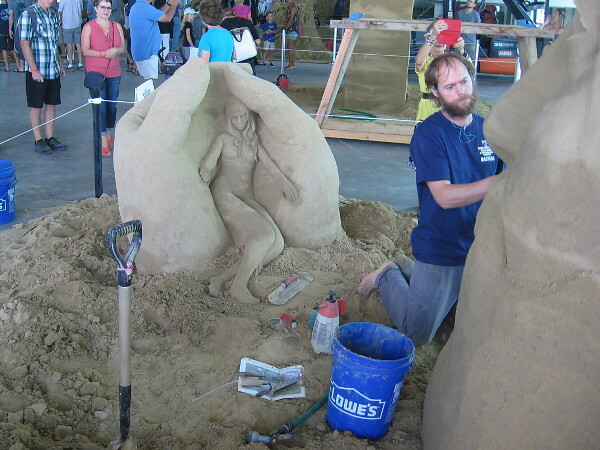 Sand Sculpting Challenge in San Diego, California is considered to be one of the premier Labor Day events in all the United States. 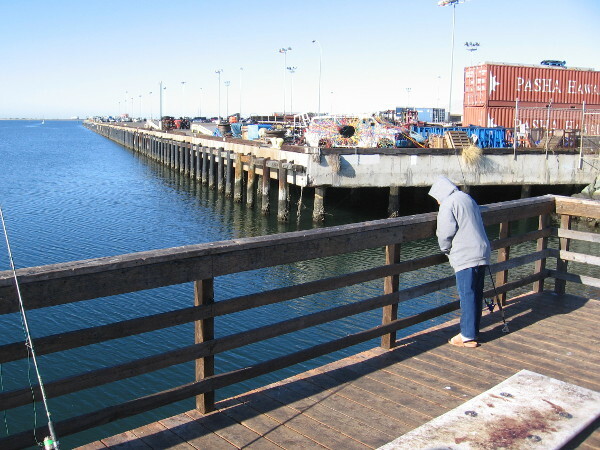 At this unique competition, which is held on downtown’s Broadway Pier, visitors can also view incredible sand sculptures carved by super-talented local teams (this year three award-winning teams from Imperial Beach), and all sorts of additional three dimensional artwork along the pier. 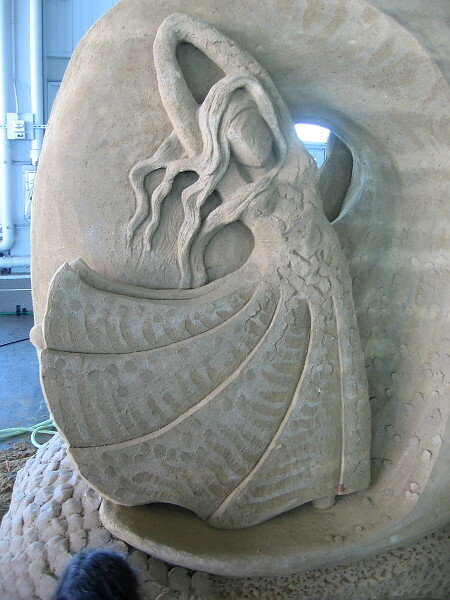 But the most extraordinary sand sculptures are inside the pier’s Port Pavilion. And that is what I photographed today. 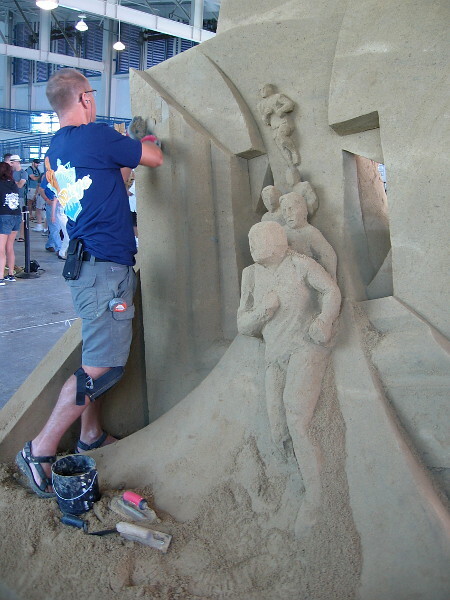 Fantastic art is created by one of the world’s top sand sculptors inside San Diego’s Port Pavilion at the 2018 U. S. Sand Sculpting Challenge. 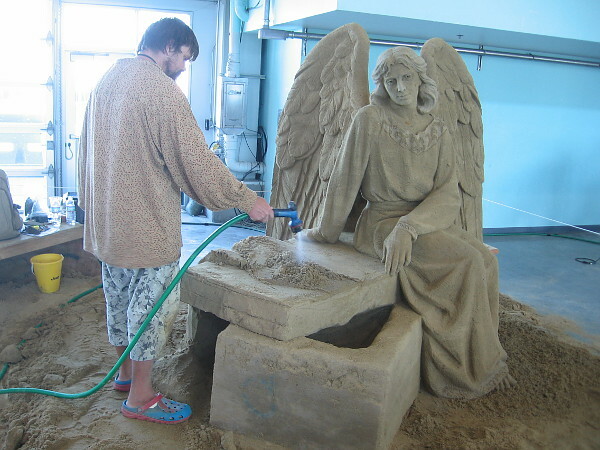 Dmitry Klimenko puts the finishing touches on a truly breathtaking work of sand art. 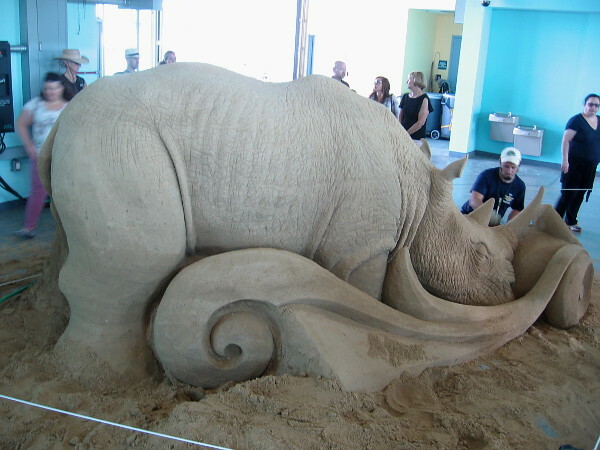 Eulogy, a sand sculpture of a rhinoceros by World Master Brian Turnbough from Chicago, Illinois. 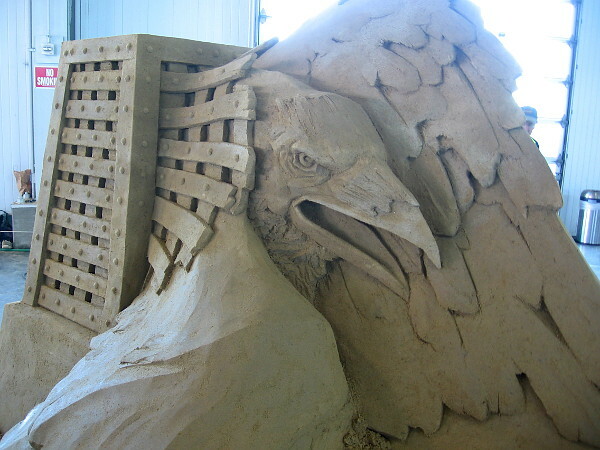 The artistry seen in this sand sculpture is extraordinary. 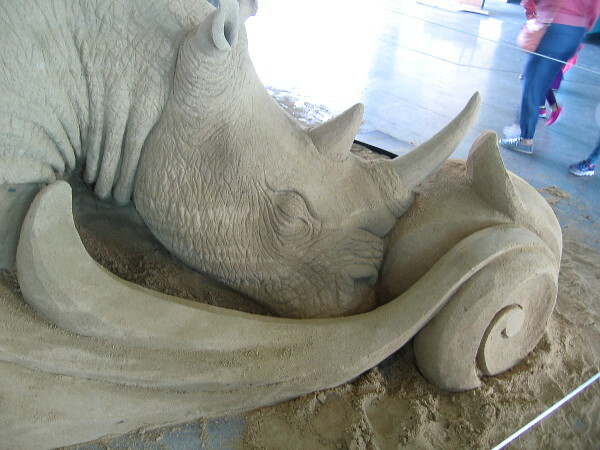 Brian Turnbough finishes a tribute to the endangered rhinoceros. 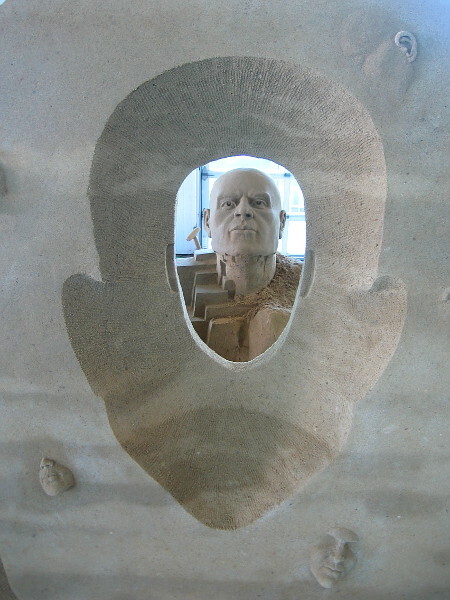 Who Are You?, a fantastic sand sculpture by World Master Agnese Rudzite-Kirillova from Latvia. 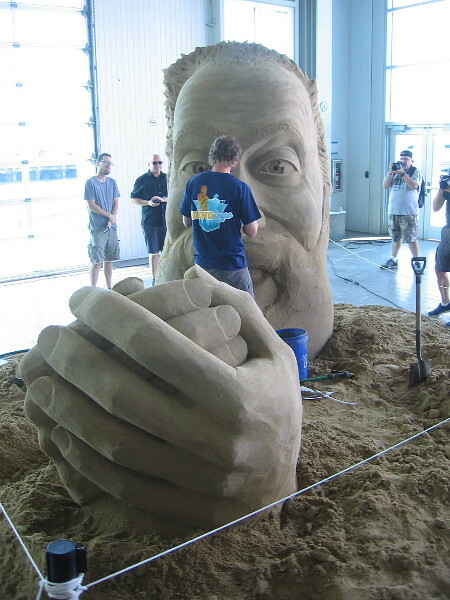 Closer photo of a remarkable sand sculpture. 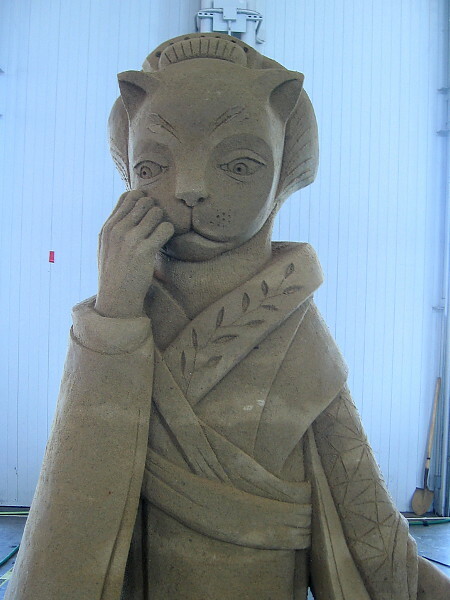 Agnese Rudzite-Kirillova puts the final touches on a sand cat. 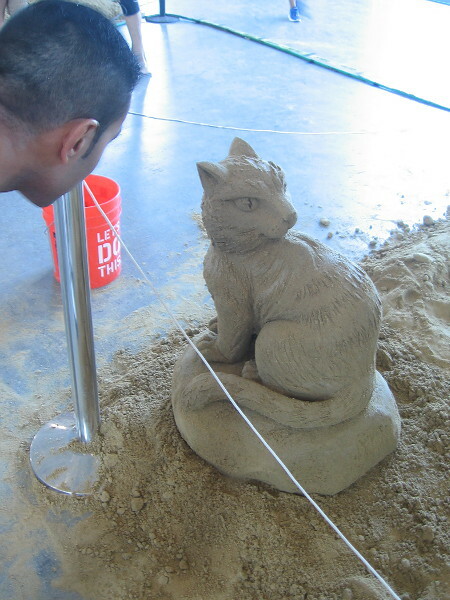 A visitor to the 2018 U. S. Sand Sculpting Challenge in San Diego admires a small work of art. 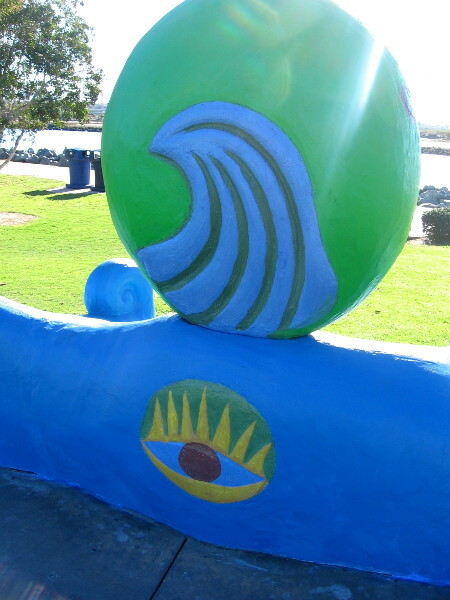 At Last, Atlas’ Last Atlas!, a humorous sand sculpture by World Master Morgan Rudluff from Santa Cruz, California. 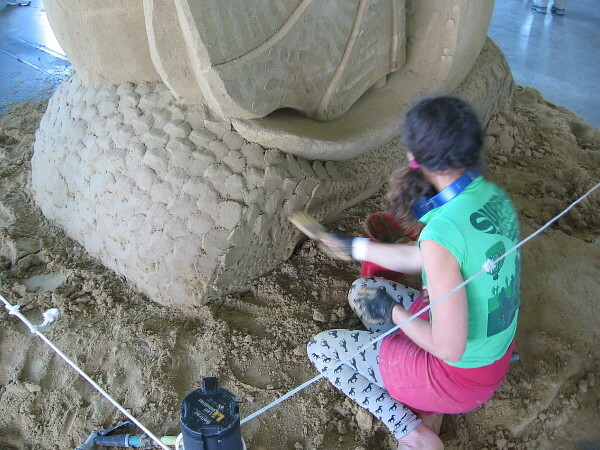 Morgan Rudluff works to finish her sculpture by early afternoon, to meet the competition’s deadline. 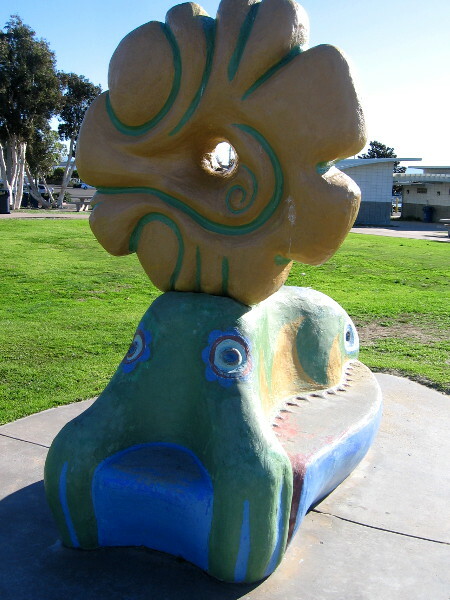 A unique work of art produced by skilled hands and human imagination. 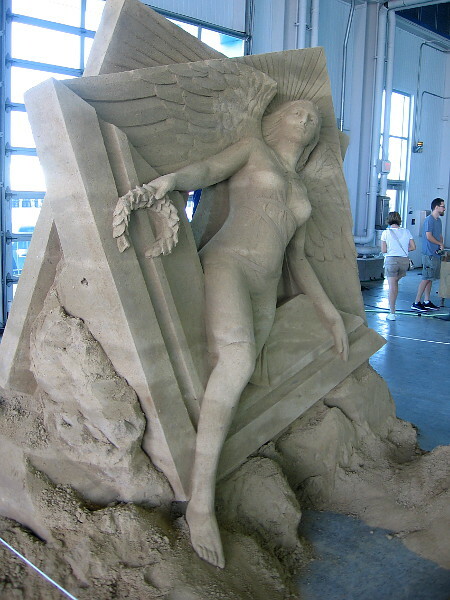 The base of Liberation, a sand sculpture about freedom by World Master Dan Belcher from St. Louis, Missouri. An eagle is liberated from a cell-like cage. 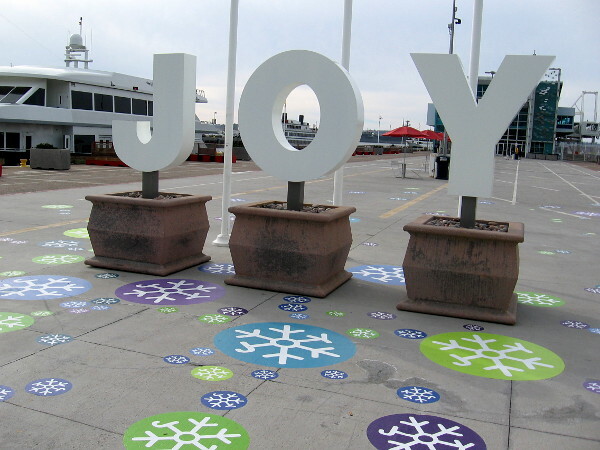 Dynamic sand art with great emotional impact. 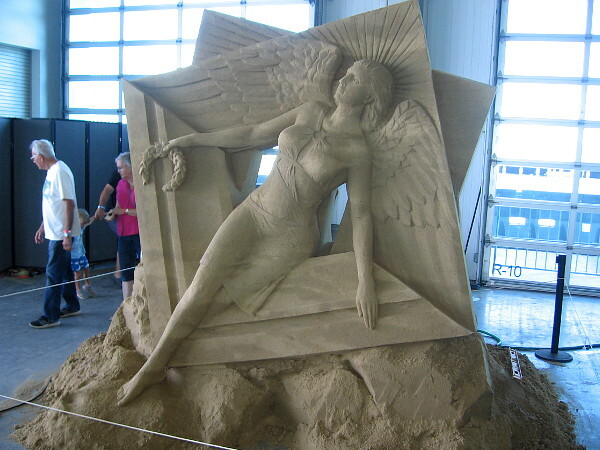 Existential Paradox, a mysterious sand sculpture by World Master Rusty Croft from Carmel, California. 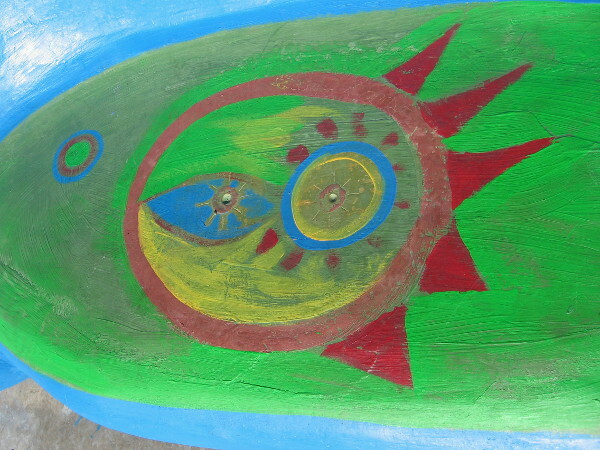 Peering through the existential paradox at an inner human face. 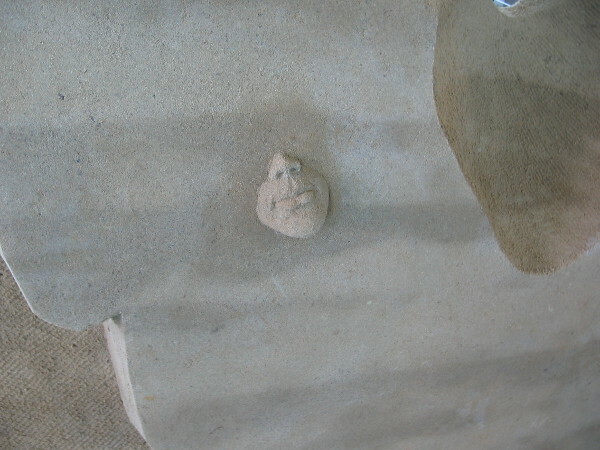 A part of one face. Rusty Croft works on humanity’s mysterious inner essence. 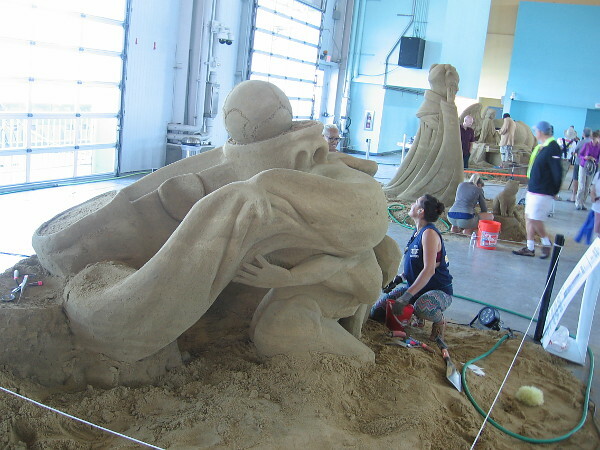 Another amazing sand sculpture inside the Port Pavilion! 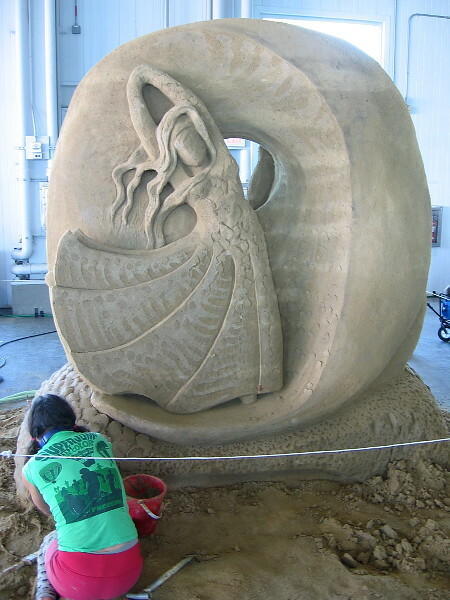 Let’s Dance, a fanciful sand sculpture by World Master Meg Murray from Australia. 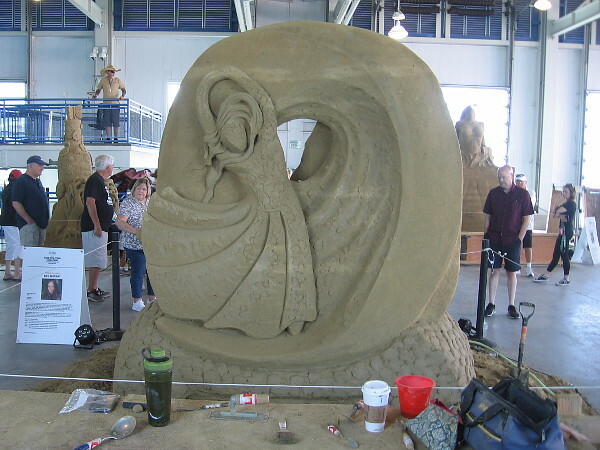 A closer photo of the graceful, organic sand sculpture. 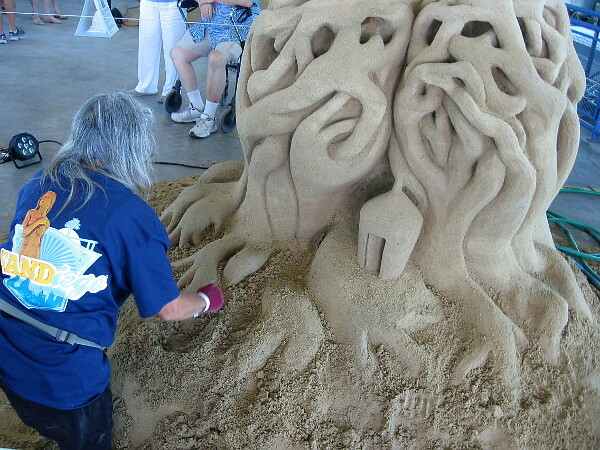 Meg Murray concentrates on her poetic sand art. Rear of the abstract Let’s Dance, with some simple sand sculpting tools on a table in the foreground. 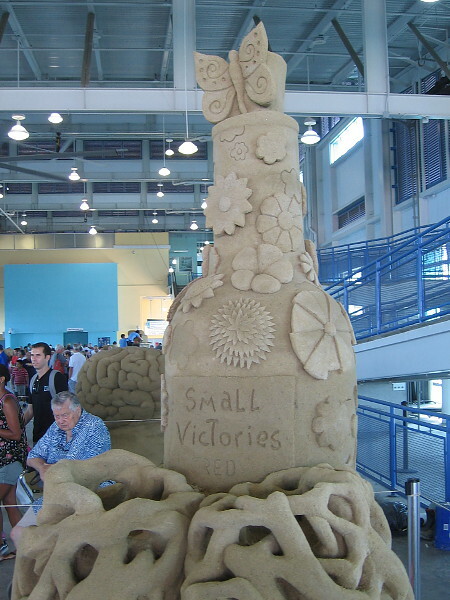 Victory, a classic sand sculpture by World Master Thomas Koet from Melbourne, Florida. 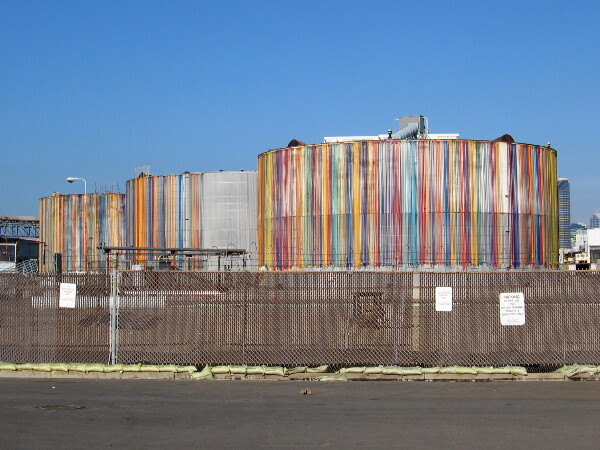 Another fine work of art. 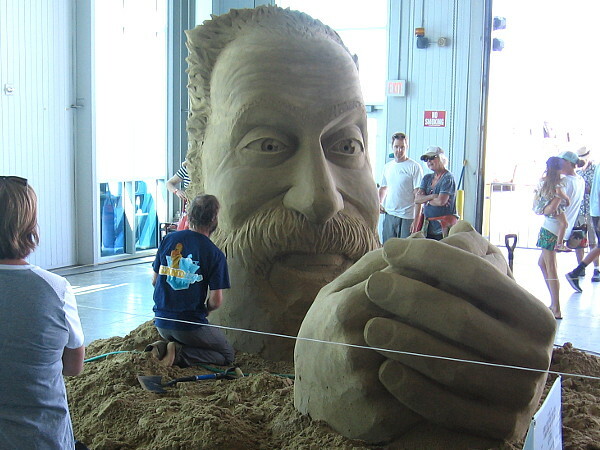 It seems a miracle that such a detailed sculpture can be made out of sand. 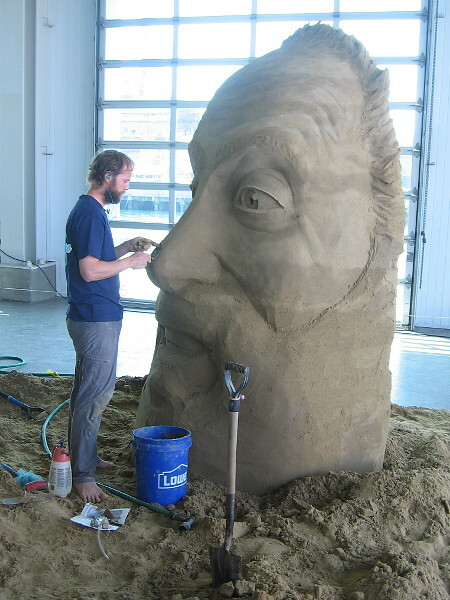 Thomas Koet at work on the back side of his triumphant sand sculpture. 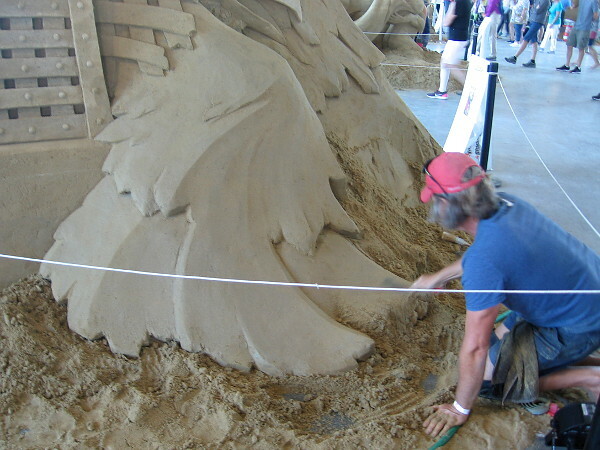 A world-class sand artist at work. 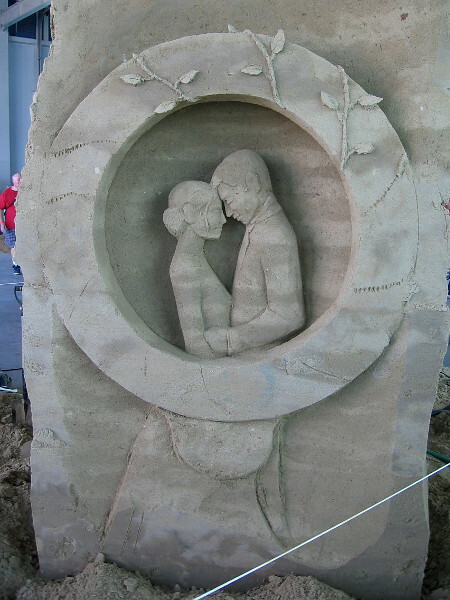 To Have and To Hold, an amazing sand sculpture by World Master Abram Waterman from Prince Edward Island, Canada. 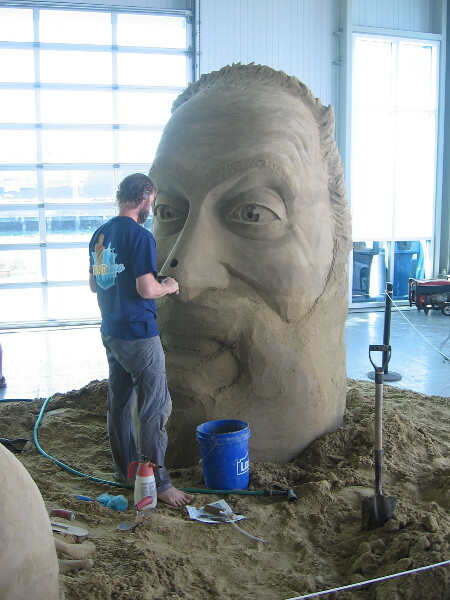 An eye-catching photograph of an eye-popping sand sculpture! This photo makes it appear as though huge hands are clasping the artist Abram Waterman. 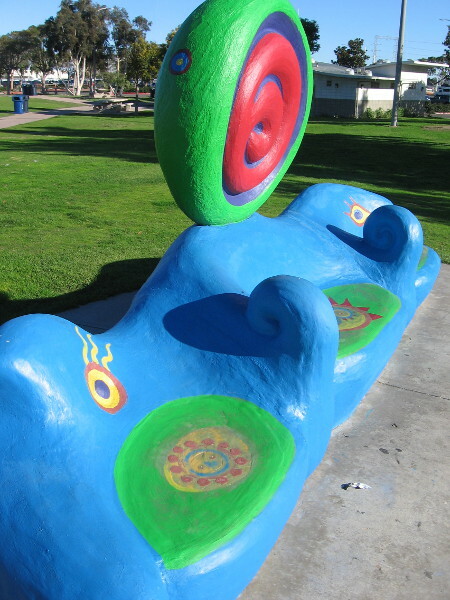 Tender love depicted on the rear of the sculpture. 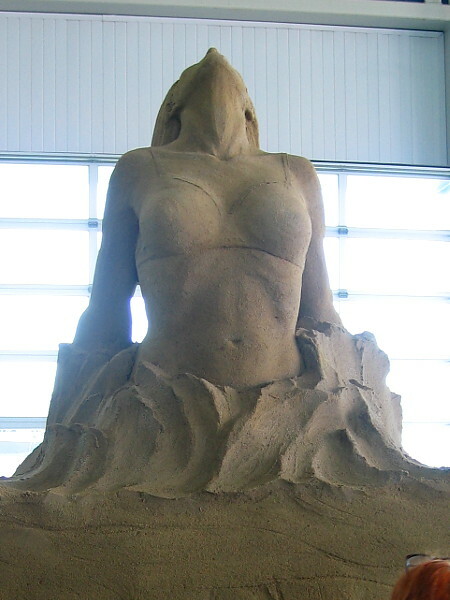 A beautiful woman is held in the sculpted sand hands–in the eye of the beholder. 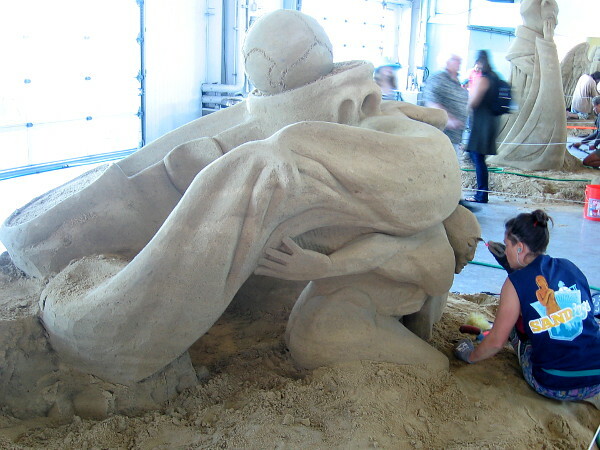 Inspire, a beautiful sand sculpture by World Master Marielle Heessels from Netherlands. Flowing beauty magically rises from a block of sand. 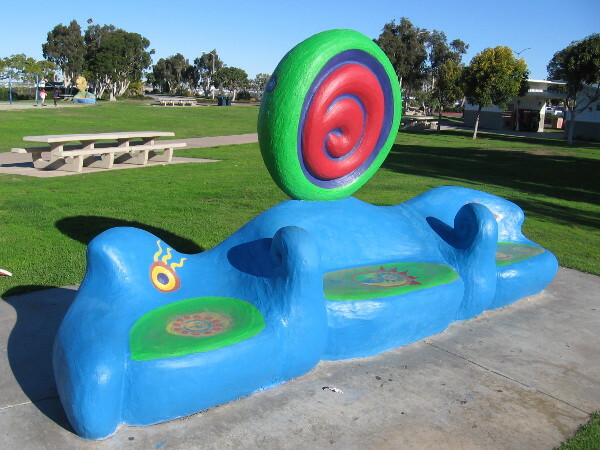 An inspirational sand sculpture in San Diego. 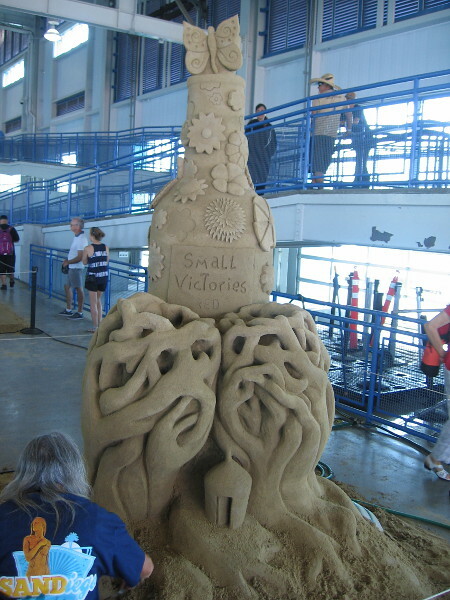 Small Victories, a happy sand sculpture by World Master Lucinda “Sandy Feet” Wierenga from South Padre Island, Texas. Lucinda Wierenga creates amazing detail with very simple tools. A butterfly emerges from a flowery bottle full of small victories. 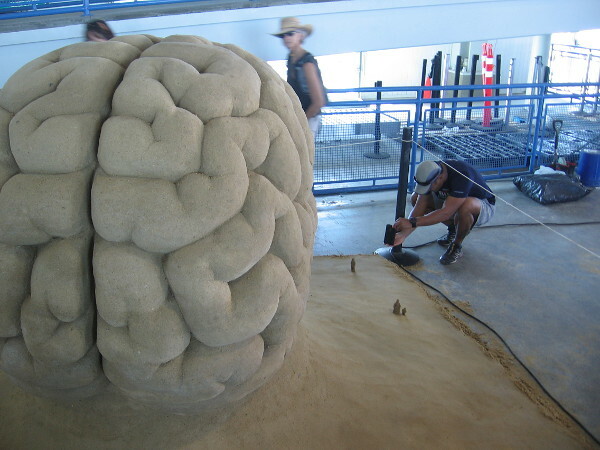 Celebration, or Cerebration, a cool sand sculpture by World Master Leonardo Ugolini from Italy. Small figures gaze up at a gigantic brain! 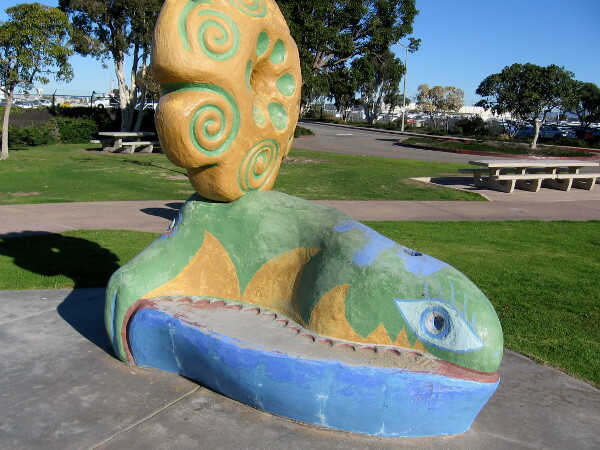 Astonishing art awaits visitors on Labor Day weekend in San Diego at the 2018 U. S. Sand Sculpting Challenge! 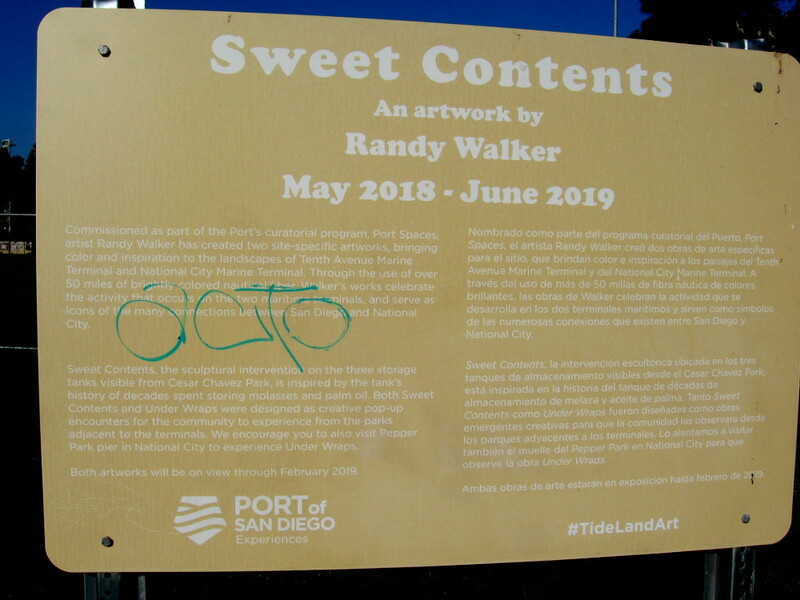 Posted on September 1, 2018 Tags amazing, art, artists, broadway pier, cool, creativity, events, imagination, labor day, photography, port of san diego, public art, san diego, sand sculptures4 Comments on Masterpieces by World Master sand sculptors! 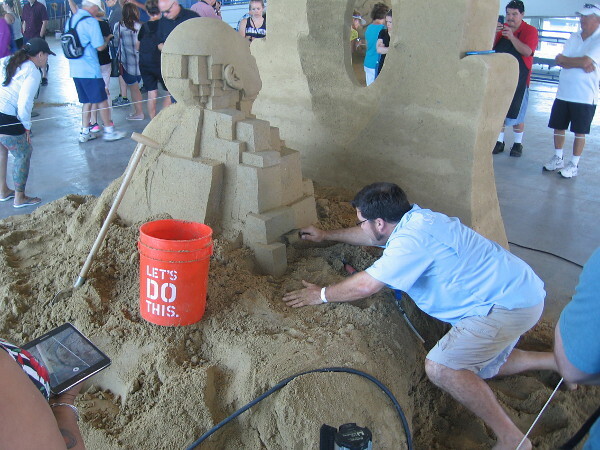 Sand sculptures appear for big Labor Day event! 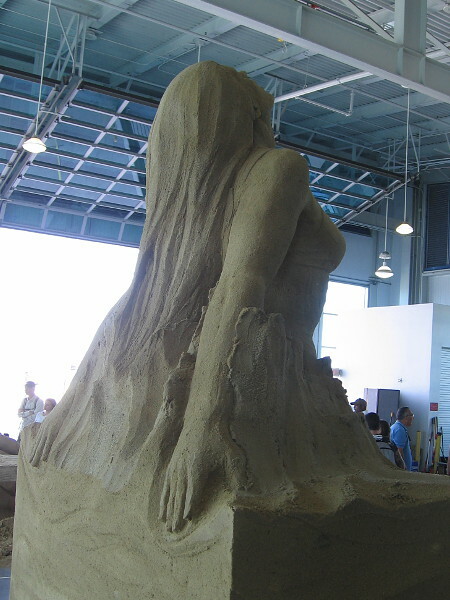 A sand sculpture rises at the foot of Broadway Pier in San Diego. It depicts fireworks above the Port Pavilion, site of the 2018 U. S. Sand Sculpting Challenge this upcoming Labor Day weekend! It’s almost Labor Day weekend! 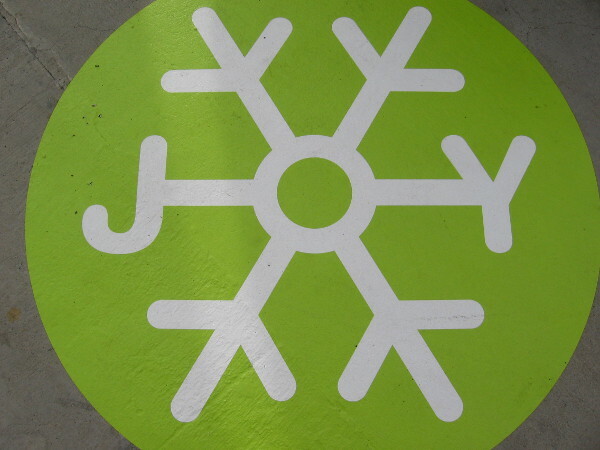 That means a huge, super cool event is almost here! 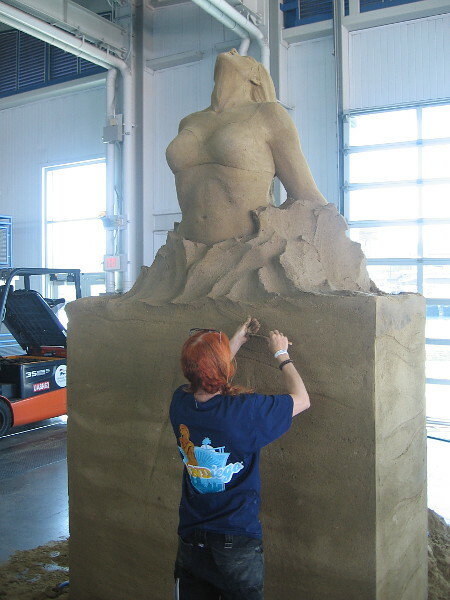 The 2018 U. S. Sand Sculpting Challenge and 3D Art Expo will be held on Broadway Pier again this year, and if it’s anything like past competitions, the sand art will be absolutely unbelievable. 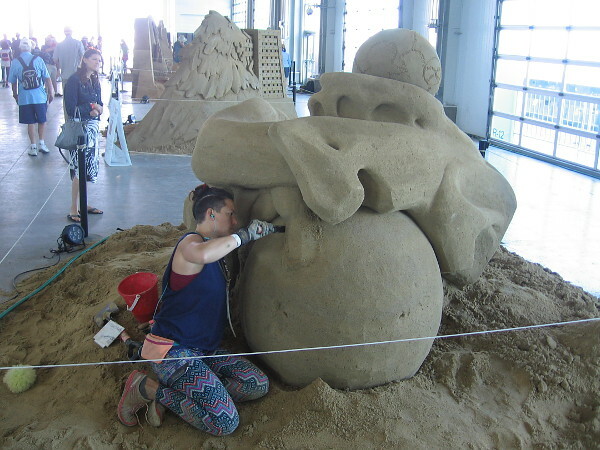 Some of the world’s top sand sculptors will compete inside the Port Pavilion, turning huge piles of sand into jaw-dropping masterpieces! 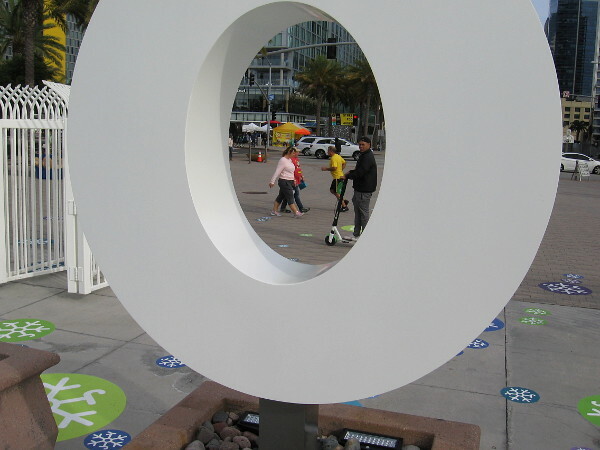 In addition to live music, food and lots of non-sand artwork at the dimensional art exhibition, World Master sculptors from all around the planet will be competing. 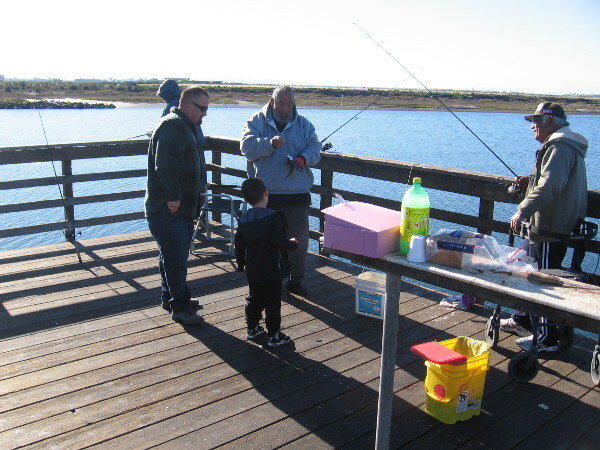 So will three amazing teams from Imperial Beach! 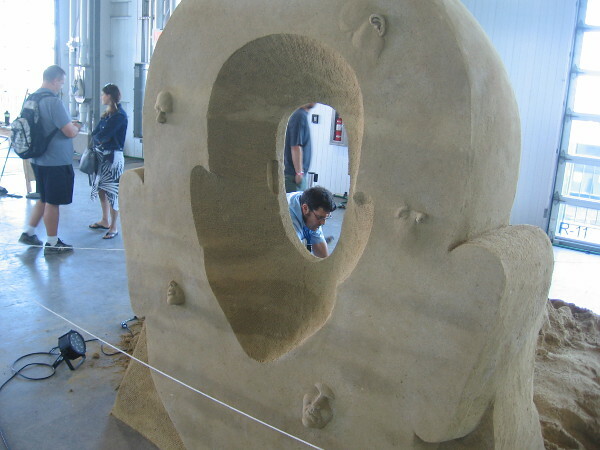 Some early sand sculptures are already being built outside on the pier. 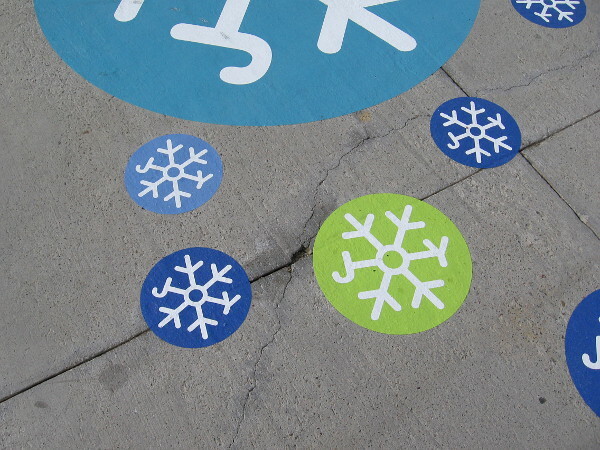 The four I saw today either welcome visitors, or promote event sponsors. 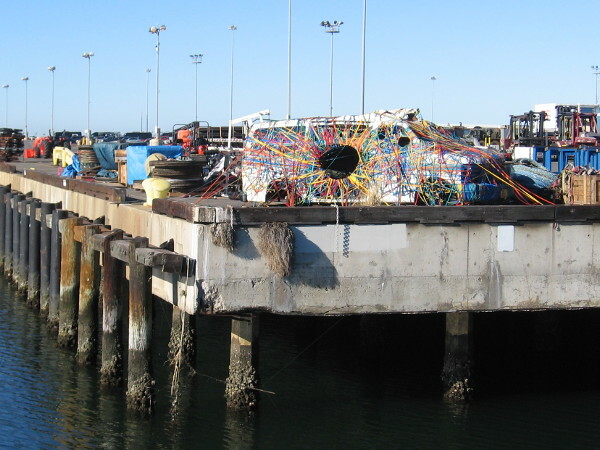 The competing sculptures inside the Port Pavilion will be much more elaborate. 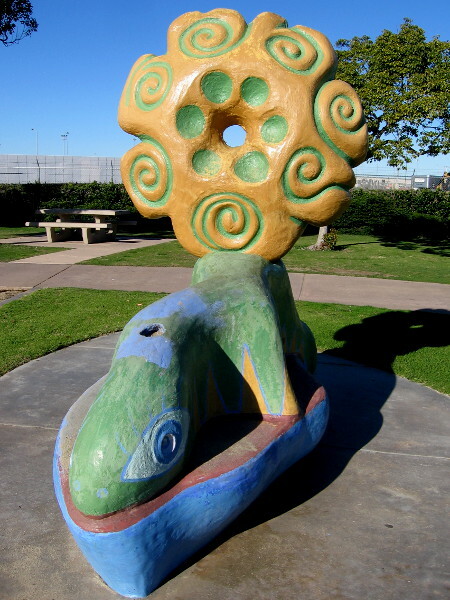 I’m not exaggerating when I say many of the sculptures from years past could be considered fine art. 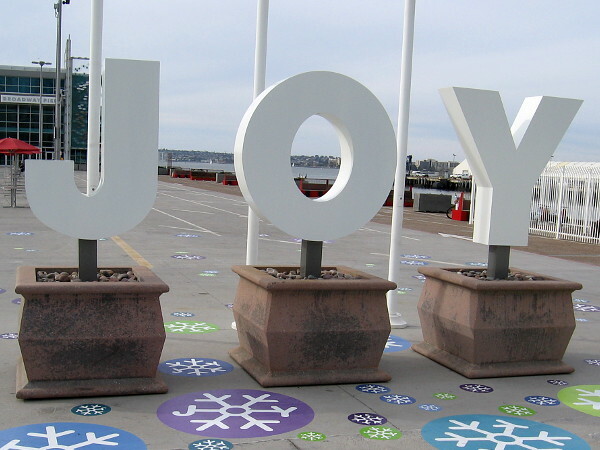 This annual event opens Friday and runs through Monday. 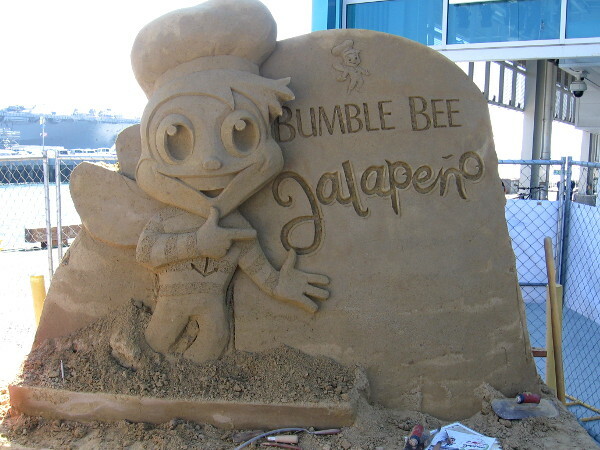 Bumble Bee Jalapeño is advertised with a fun sand sculpture in front of the Port Pavilion. 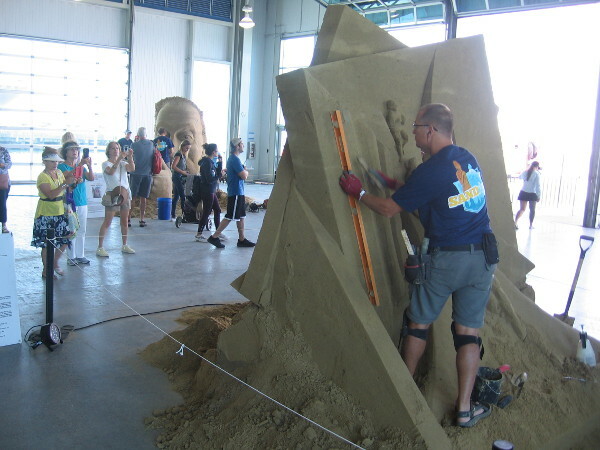 MTS will be promoting Free Ride Day on October 2 with this sand sculpture, which is a work still in progress. 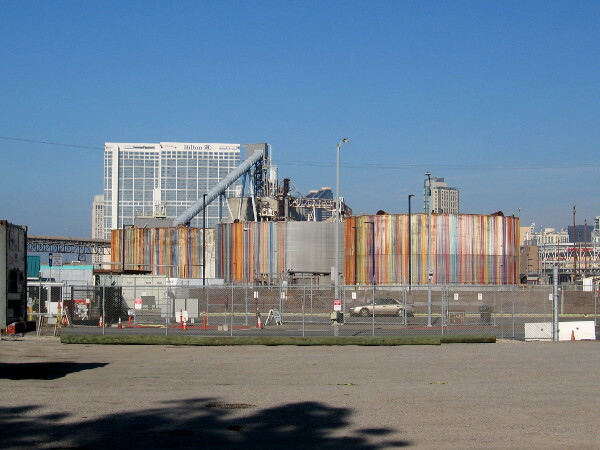 Another pile of sand is being shaped. 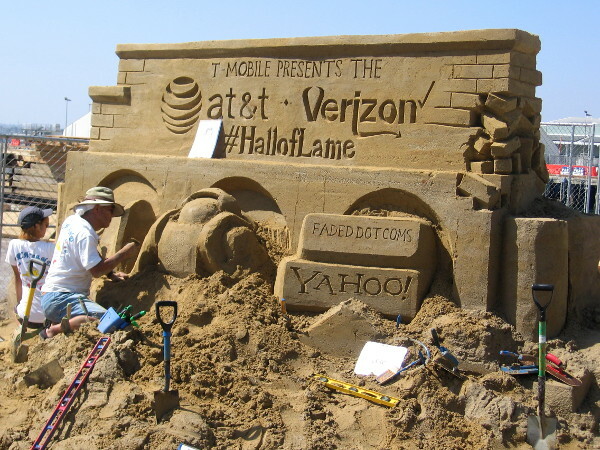 New event sponsor T-Mobile presents the Hall of Lame with this funny sand sculpture! 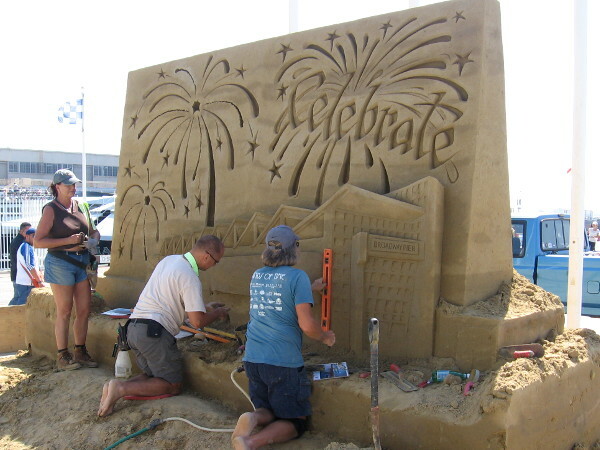 Using a shovel to get ready for this Labor Day weekend and the very cool 2018 U. S. Sand Sculpting Challenge on Broadway Pier! 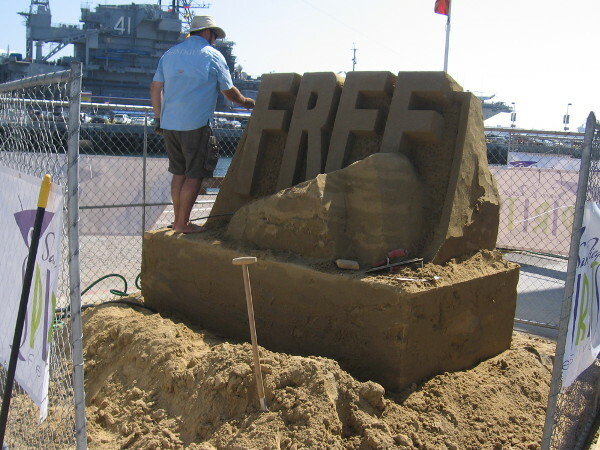 Posted on August 26, 2018 Tags amazing, art, artists, broadway pier, cool, creativity, embarcadero, entertainment, events, labor day, photography, port of san diego, san diego, sand sculptures1 Comment on Sand sculptures appear for big Labor Day event!